In what is thought to be a world-first, a British woman who was given an ovary transplant is about to give birth to her first baby. The 38-year-old Londoner underwent the pioneering whole ovary transplant in the U.S. early last year when her identical twin sister’s donated ovary was transplanted after being removed using keyhole surgery. 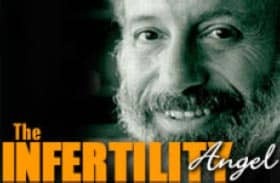 The ovary transplant was carried out by Dr. Sherman Silber and his team at the Infertility Centre of St Louis in Missouri and is the first to result in a successful pregnancy. The woman’s ovaries stopped working when she was 15, when she experienced a premature menopause and stopped producing hormones and she has become pregnant a year after receiving her sister’s ovary. According to Dr. Silber identical twins are five times more likely than the rest of the female population to suffer ovary damage and his pioneering new procedure is particularly relevant for them. As the twins are genetically identical, eggs from the donor ovary are equivalent to those produced by the patient herself – women who are not genetically identical produce genetically different eggs so the transplant technique will have limited application for women who are not twins. However it does offer the possibility of removing and freezing an ovary prior to cancer treatment such as radiotherapy and chemotherapy. The transplantation of the walnut-sized ovary demanded microsurgery to reconnect blood vessels as small as half a millimeter in diameter and follows previous successes by the team with ovary graft transplants, where a slice of ovary tissue is grafted onto an infertile patient’s own ovary. The first graft transplant to produce a successful pregnancy was in 2004 and was also between twin sisters. Dr. Silber says reconnecting such blood vessels deep inside the pelvis can be a tactical challenge and is an extremely delicate procedure as the ovarian artery is less than a third of a millimetre in diameter. Three months following the surgery, the London patient had her first period in 22 years, showing that she was ovulating normally again – Dr. Silber says they believe this is the first successful human intact whole ovary transplant which has led to a healthy pregnancy. Dr. Silber and his team have also tested techniques for freezing ovaries for future transplant and have successfully preserved 27 ovaries, and also for the first time five fallopian tubes and he says their work represents a new chapter in reproductive organ transplantation. He says as well as whole ovary transplantation it is now possible to consider fallopian tube transplant for women with irreparable tubal disease. Dr. Silber will present his research results this week at the American Society of Reproductive Medicine’s annual meeting in San Francisco.